Galicia is the magical northwest region of Spain that often gets lost between “Spain Spain” and Portugal. It is the land of fresh fish, food markets, and feeling like the rain may never end (but that it’s also so beautiful at the same time). Galicians speak their own language, Galego, which has been around since the Middle Ages but Napoleon’s European regime repressed this and other non-castilian languages, so Galego only again gained official recognition when Francisco Franco passed away in 1975. Galego, or gallego, is a derivative of “gaelic” and is mostly differentiated from Castellano (“Spanish”) by the presence of the ‘x’ in many words (pronounced “sh”). If you are lucky enough to travel to Galicia and hear the musical language being spoken, make sure to not only visit the major cities but also travel throughout the countryside to get a true sense of the region. It is known for the Camino de Santiago, but outside of the Camino’s main attraction (Santiago de Compostela), there is still a rich history and a strong appreciation for family values and traditions that make visiting any area of Galicia a warm trip even if you get caught in the rain. 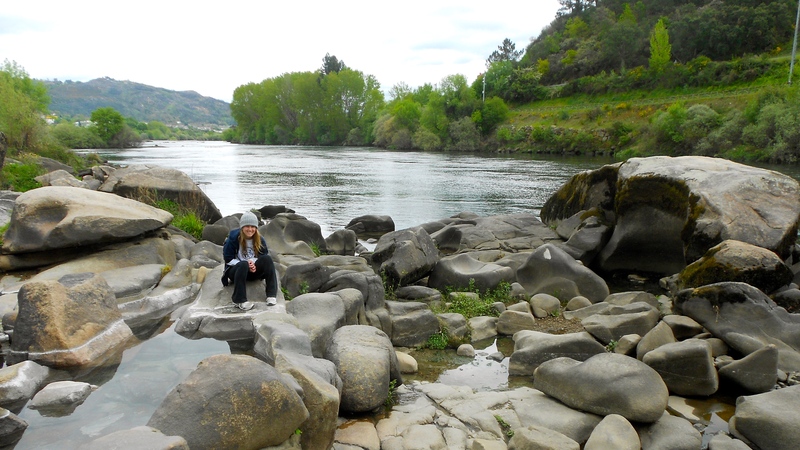 Ourense: great to visit during “Carnivale” in the spring, home of the fascinating Ourense Bridge, and a quick day trip from Santiago to natural hot springs along the river. A Coruña: the northern capital of sports and oceanfront fun– but keep in mind that all fútbol (“Deportivo” is the team to know) games are strictly non-alcoholic. Also make sure to take a walk along the Paseo and visit the Torre de Hércules. Boiro: Very small beach town, a short bus ride from Santiago and not much going on; however, the beach is pretty and there are picturesque hidden lakes to discover as you walk through town and away from the beaches. Rías: A “ría” is not quite a river, but not quite a causeway. This Galician word represents an inlet that is home to the finest wine in the country (albariño). There are a few ría cities worth visiting in Galicia, such as Vigo and Pontevedra. 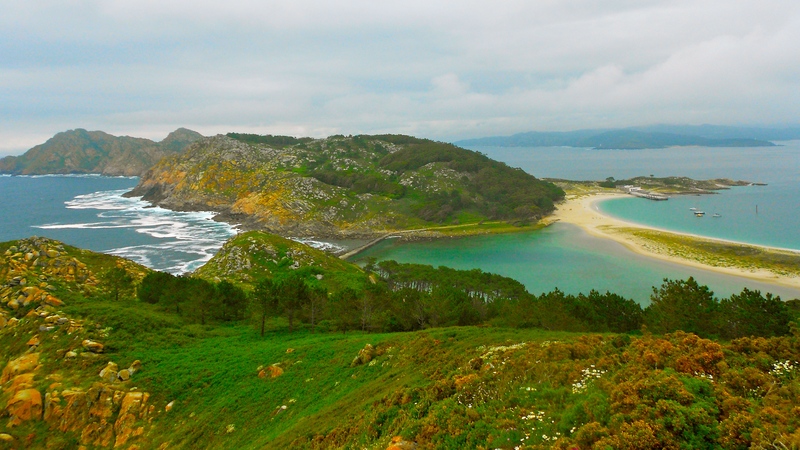 After getting your fair share of Galician “city life”, take a trip to the islands. Islas Cies is aptly named (Heavenly Islands) and their remote location keeps them beautiful and protected. A boat ride from Vigo will land you in heaven, with turquoise water, white sand, protected wildlife, steep hikes overlooking the mainland. Pack a picnic, go for a hike, and bring a bottle of wine for the beach after. Also, bring layers because the ferry ride can get windy and the water is freezing cold if you plan on trying to swim! As mentioned above, Vigo is also a great city to explore with an old district filled with hidden restaurants, fish markets, cruises (Mar de Ons), and a lively night scene. En Vigo, disfruta una cerveza y pimientos de Padrón. Thank you! That is from the top of a viewpoint hike at Islas Cies.